Tech Review: This new $120 Alexa device lets you talk to your home theater — but don't lose your remote in the sofa cushions just yet if you want to watch the World Cup. In the beginning, there was a dial. Then man invented the television remote so he wouldn’t have to get off the sofa. Then remote controls multiplied . . . so man could never find the right one and his spouse complained that watching TV is so friggin’ complicated. And now, the next epoch: Everyone in the house commands the TV by voice. A big step toward the hands-free couch potato arrived this week. 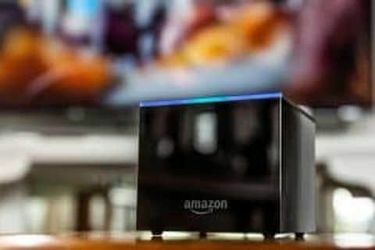 The $120 Fire TV Cube is the first device to give Amazon.com’s Alexa artificial intelligence control over the TV and the stuff plugged into it. Equal parts Echo speaker, Fire TV streaming box and universal remote, this thing can hear you say, “Alexa, turn on the TV,” and then do it. Say, “Turn up the volume” or “Switch to MSNBC,” and Fire TV Cube does that, too. 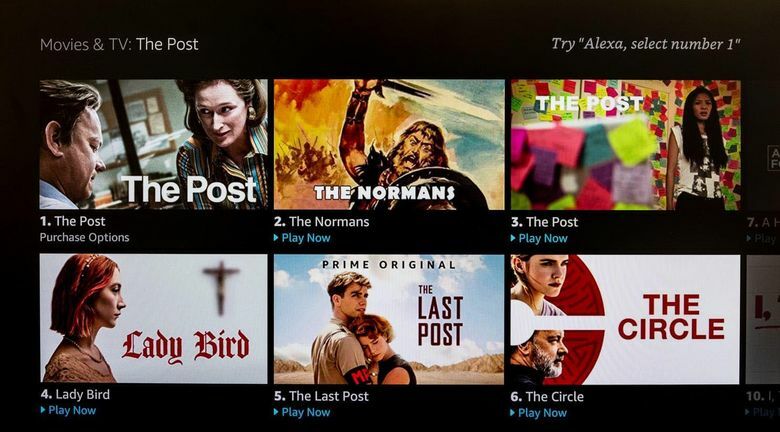 Amazon, always angling for a bigger role in our living rooms, thinks voice tech can simplify the mess that streaming apps, add-on boxes and sound systems have brought to home entertainment. I agree it can – but this version of Alexa still gets a little too tongue-tied for us to give up remotes entirely. Amazon chief executive Jeff Bezos owns The Washington Post, but I review all tech with the same critical eye. So for the last week, I’ve been living with (and sometimes yelling at) a Fire TV Cube operating my TV, sound bar and cable box. I learned that voice control has great potential for the TV. It’s simpler to walk up to the TV and say, “Watch ‘Queer Eye’ ” than to press buttons on various remotes to turn on the TV and speakers, then switch inputs, find the Netflix app and hunt around for the show. So what’s wrong? Using a Fire TV Cube requires putting into your home another Amazon microphone that’s always listening and that you can’t quite talk to like a human. Even if you’re okay with that, Alexa will often leave you reaching for a remote – in fact, the Fire TV Cube still comes with one of its own. Alexa couldn’t understand “watch the World Cup” because its AI isn’t yet smart enough. It couldn’t “skip the commercials,” “watch the new Beyoncé video” or even “select okay” to dismiss menus. And then there’s this hiccup: Every time someone on TV says “Alexa,” the Fire TV Cube pauses for half a second like a hiccup. Today, the Fire TV Cube will probably satisfy only home theater geeks and families already enamored with Alexa and curious to watch its TV intelligence grow. But there are enough interesting ideas in it that any TV lover has reason to stay tuned. 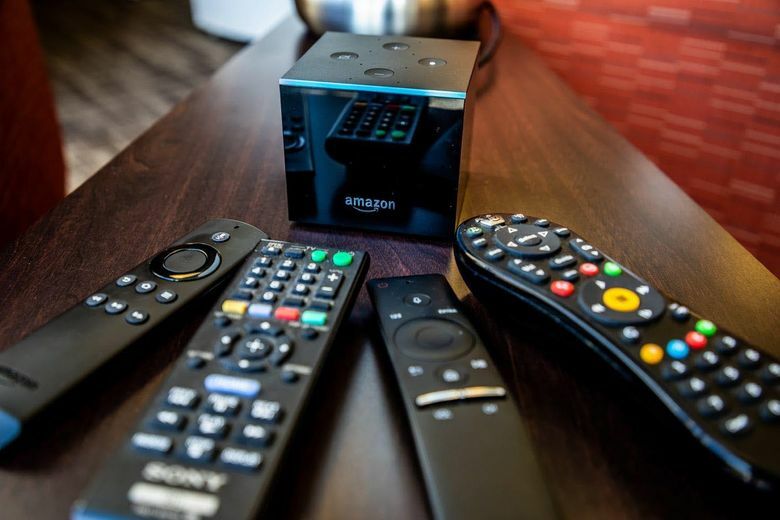 Heaps of TV gadgets, including Amazon’s original Fire TV, the Apple TV, Roku and cable boxes now have remotes with microphone buttons you can press to conduct searches. The Fire TV Cube goes further by plugging an always-on microphone into your TV – like a smaller, rectangular Echo smart speaker with special powers. Similar to the Echo, the Cube lights up blue and starts recording when it hears its wake word, Alexa. What’s tricky is that Alexa still has to be able to hear your commands from over on the sofa. Many people bury home theater devices in a cabinet or in the rat’s nest of cables behind the TV. You can’t do that with the Fire TV Cube; it needs to sit in a relatively open spot (one to two feet away from loudspeakers) with a long HDMI cable that plugs it into the TV. Even with a six-foot cord, mine was far enough away from my couch that I had to raise my voice, as if I were scolding a bad puppy. Next challenge: A TV these days looks like an octopus, with tentacles connected to a cable box, Blu-ray player, game console, sound bar and streaming box. So the Fire TV Cube comes with smarts to operate what it claims are thousands of devices, communicating either through HDMI cables or through a version of the tech used on universal remotes, called an IR blaster. The Fire TV Cube was able to command all of my gear, to a point. It could turn on and switch inputs on my 2015 Samsung Smart TV and adjust the volume on my Sonos Playbar sound bar. On my TiVo Roamio, it could tune in to a specific channel (“Alexa, watch CBS”) but not interact with the content of my DVR. My colleague Hayley, who owns a non-smart 2014 Sharp TV, had a little more trouble. The Fire TV Cube could turn the TV on and off, control the volume, and switch to inputs with an Xbox and PlayStation 4, but it had trouble tuning to a specific channel when the TV wasn’t already on. Alexa’s biggest hurdle is more existential: TV as we’ve known it wasn’t designed for voice. Picture the screens and menus on your TV. There are big rows of icons you tap-tap-tap on a remote to navigate. We’ve come a long way from the days of channel up and channel down. The Fire TV Cube adapts some the Fire TV’s interface for Alexa. On its home screen, filled with app and show icons, you can say “scroll down” to see more rows of apps and shows. When you search for movies, your choices appear in boxes you can order up by number. A few apps, including PlayStation Vue and Spotify, also participated in this voice browsing redesign. But the transformation doesn’t go far enough. Many apps and menus still require tapping a remote, such as to select a profile in Netflix or just to confirm “okay” on an interstitial screen. When Alexa is the interface, why is the TV’s home screen filled with lots of choices you have to scroll through and call out like Bingo? It might make more sense as just one big recommendation based on your past favorites or what’s trending, which you can keep saying “next” to until you find something that strikes your fancy. Voice control is most useful when it lets you bypass menus entirely and get just to what you want to watch. Alexa can easily pull up on-demand content sold by Amazon or available through apps such as Hulu, Netflix and HBO Now. The Fire TV Cube presents you with just enough useful voice interface that you immediately want to push it – and end up disappointed. That makes it at best an unreliable couch companion and at worst one more device with a remote you might lose in the cushions. The Fire TV Cube reminds me of the first Amazon Echo smart speaker, which was long on promise but short on capabilities. Four years after it launched, the Echo has changed the way millions of people listen to music. Perhaps Alexa will do the same for TV as Amazon signs on more apps and services and figures out what a truly voice-first TV experience looks – or, rather, sounds – like. The Washington Post’s Hayley Tsukayama contributed to this report.